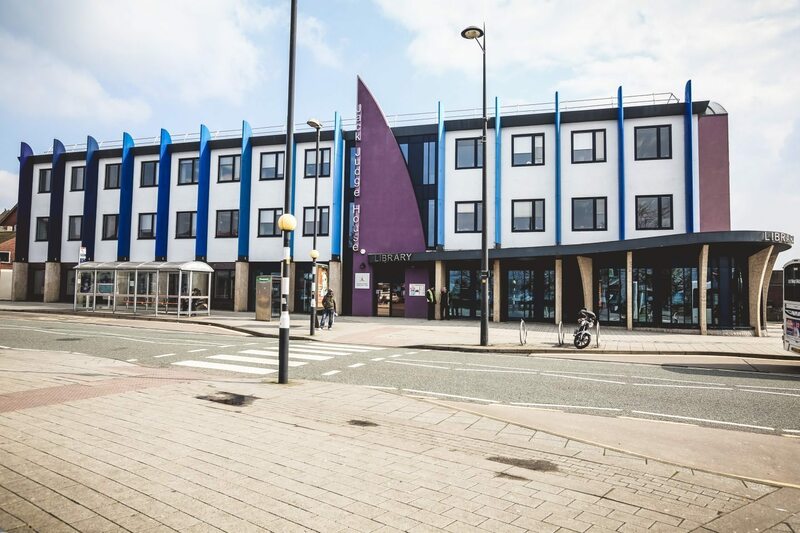 Oldbury Writing Group meet on Saturdays in the library at Jack Judge House. 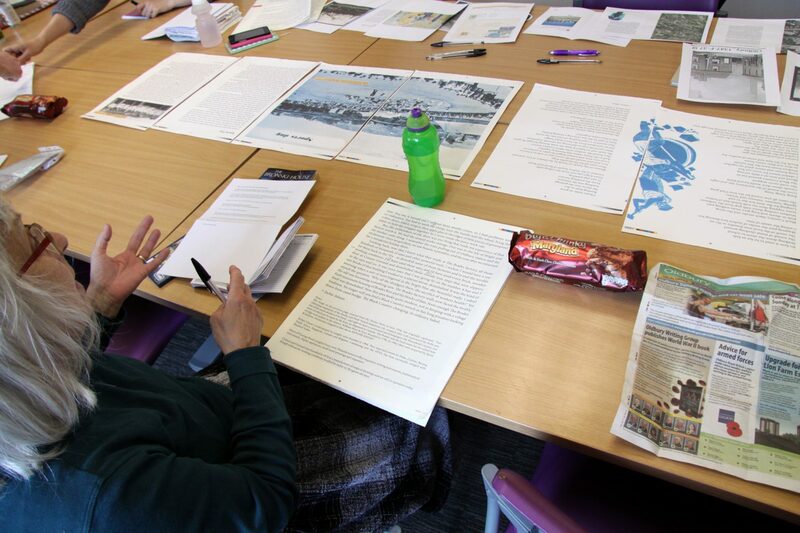 We invited members of the group to visit the Sandwell archives at Smethwick Library and write new pieces inspired by their explorations and findings. This material was shared via a bespoke A3 newspaper. View and download here. The group keep a blog here: https://oldburywritinggroup.wordpress.com. Oldbury Writing Group proofing their newspaper. 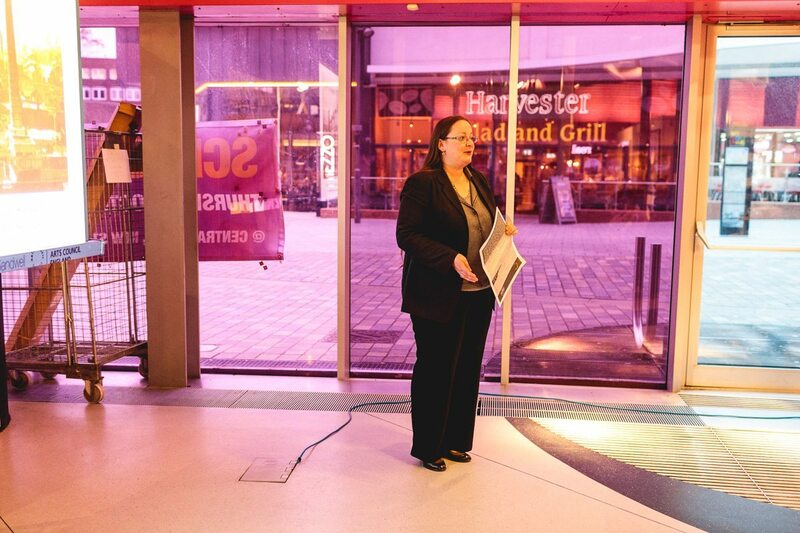 Angela Garratt presents their newspaper at exhibition event. The library is named after the Oldbury man who wrote the song ‘It’s a Long Way to Tipperary’ in 1912, apparently to win a bet. Jack Judge was then part of a travelling company appearing at the Grand Theatre in Stalybridge. A fellow actor by all accounts bet him a pound he could not write the words and music for a completely new song and sing it the next night. The bet was reduced to 5 shillings as Jack did not have a pound. Jack Judge was born in 1878 to an Irish immigrant family in Low Town, Oldbury. He spent his early years in Oldbury marketplace, selling fish - using rhyming couplets to extol his wares and woo his customers. He took to the stage with his comic act after winning a talent contest. His Tipperary song was taken up as a favourite by soldiers of the 2nd Battalion Connaught Rangers during evening entertainments in their mess in England, by soldiers of the 2nd Battalion Connaught Rangers; they had been stationed in Tipperary Barracks in 1908-10 and remembered that town fondly. As they disembarked at Boulogne in August 1914 and marched through the streets of the town they sang the song. The moment was reported in an article for the Daily Mail by journalist George Curnock, as he stood watching on the steps of the Metropole Hotel. The song went on to become incredibly popular - it sold a million copies start year alone. In 1926, the song was played at the dedication ceremony of the Menin Gate at Ypres. 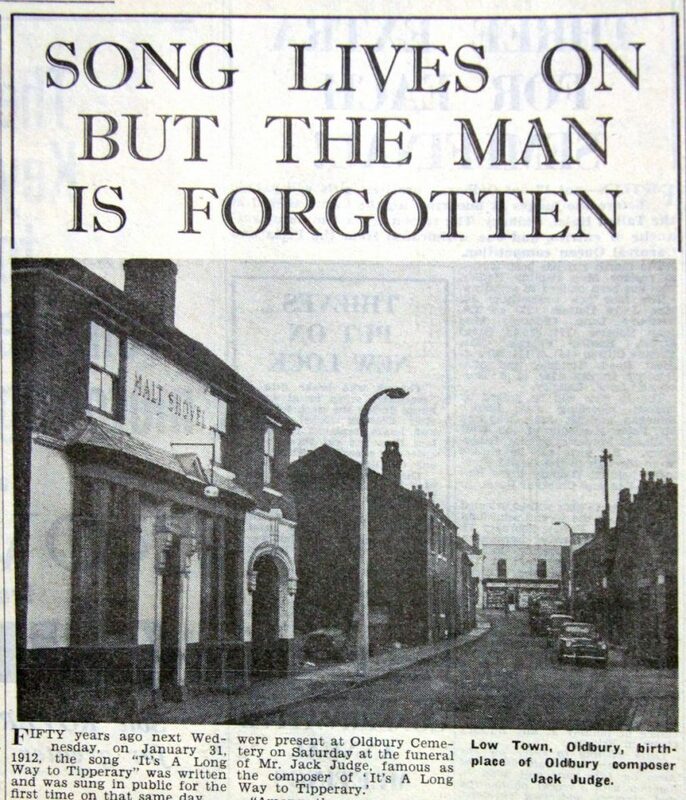 Later in life, Jack Judge returned to live in Oldbury and ran a fish shop. He died in 1938 in Hallam Hospital and is buried in Rood End Cemetery. 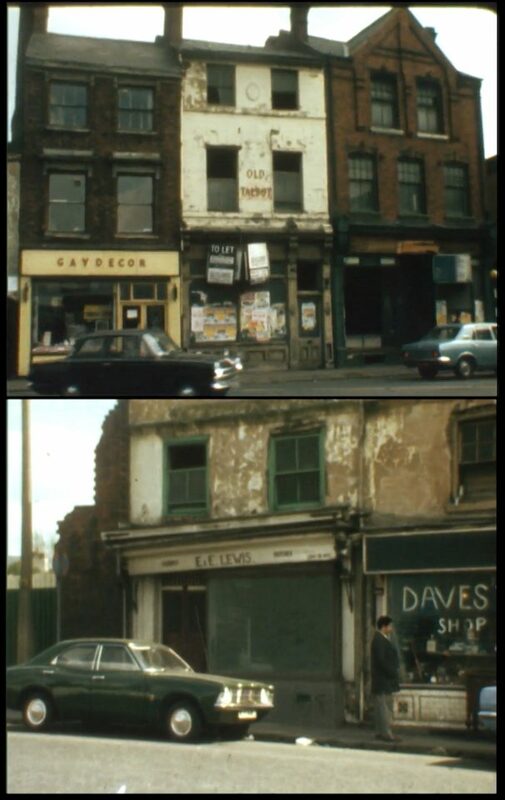 You can view the town centre as it was in the early 1970s, in this ATV news feature on the BFI website. Town Centre, 1950s. 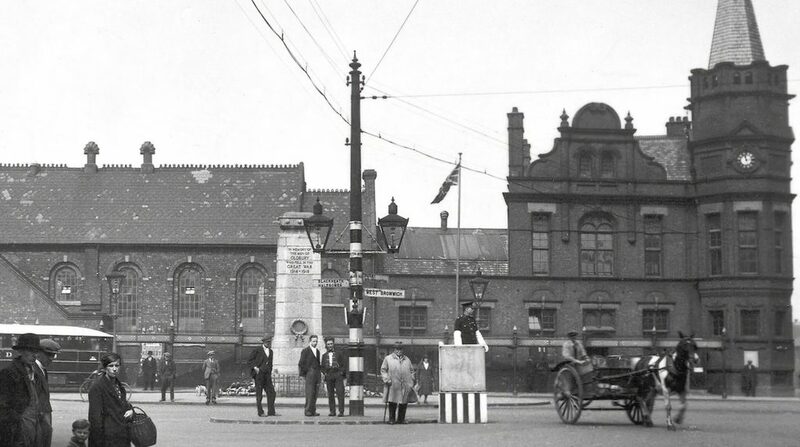 The building on the right remains, but Sainsburys is now on the left.